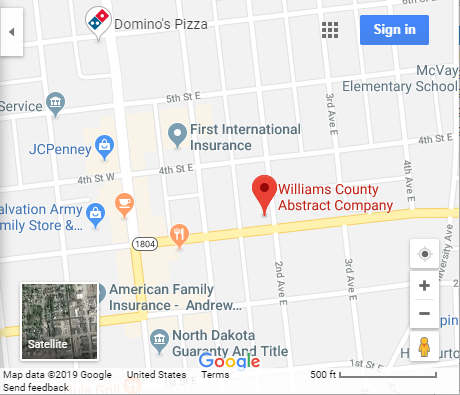 Williams County Abstract Company is your only locally owned, full-service title company serving Williams County, North Dakota. We are honored to have served our community and the surrounding area since we incorporated in 1907 ~ that’s over a century of title services provided! Whether you are in the process of refinancing or selling your current home, or are purchasing a new home, our staff offers you a professional, secure and personalized experience for all transactions. We take our job seriously. We know that your peace of mind is very important. We want to help make your experience something to remember! 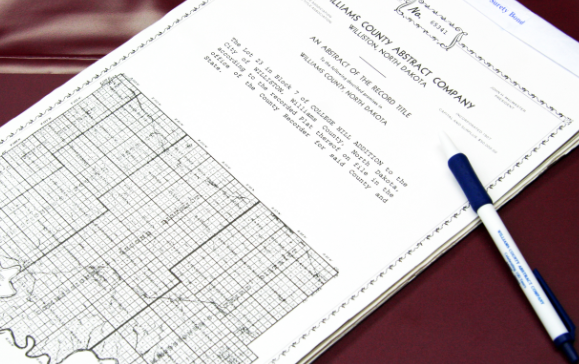 Williams County Abstract Company provides services to help you buy or sell residential and commercial property. Let us assist you. Contact us to make an appointment today.